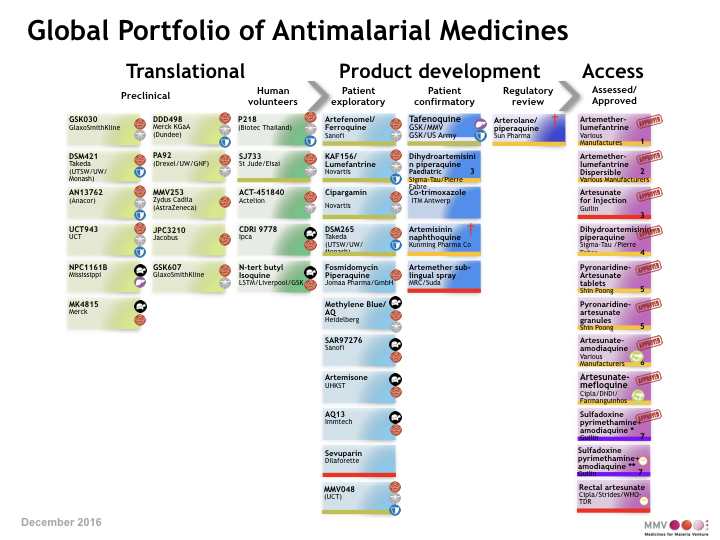 A fantastic Open Access review of Malaria Drug Discovery DOI. 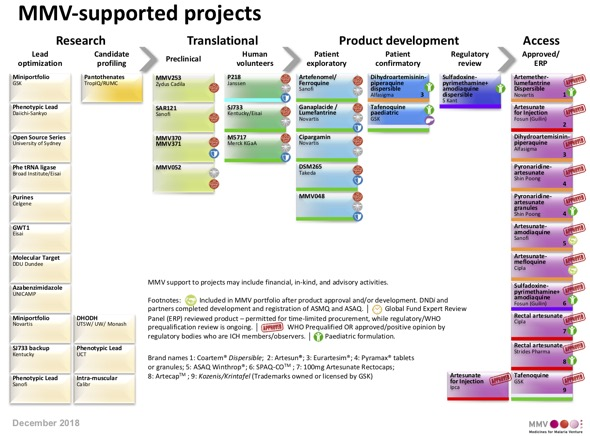 Covers the history of Malaria medicines going back to quinine through to the latest MMV supported projects and our current understanding of some of the emerging novel molecular targets. To help identify new phenotypic and/ or target based hits, as well as confirm activity of MMV compounds on all human malaria asexual blood stages, new screening proposals are sought . 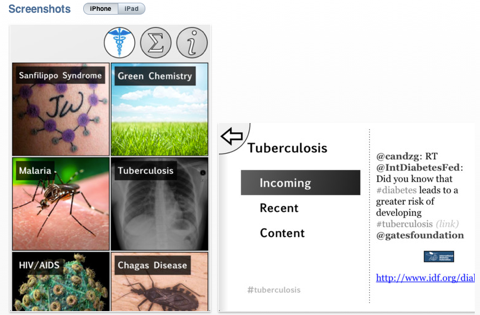 The Open Source Malaria project is trying a different approach to curing malaria. Guided by open source principles, everything is open and anyone can contribute. A recent post gives an opportunity for everyone to participate, you can read a description of the background here Poll to decide which compounds to synthesise next as 'Pfizer phenol' analogues and the actual poll is here. Following on from @JoshMaxwell's introductory post #554, we're keen to continue exploring this chemistry which now appears to be working well, and applying it to make further analogues of the phenol compound OSM-S-412, OpenSourceMalaria/Series4#3. You should of course feel free to suggest additional modifications, it would be particularly useful if you could include a brief comment as to why you think your suggestion might be interesting. Nature have produced a very useful one page/poster http://www.nature.com/articles/nrdp201751 overview of Malaria giving an illustrated depiction of the mechanism, treatment and prevention options. This is accompanied by a more detailed publication DOI giving a state-of-the-art overview. Malaria is caused in humans by five species of single-celled eukaryotic Plasmodium parasites (mainly Plasmodium falciparum and Plasmodium vivax) that are transmitted by the bite of Anopheles spp. mosquitoes. Malaria remains one of the most serious infectious diseases; it threatens nearly half of the world's population and led to hundreds of thousands of deaths in 2015, predominantly among children in Africa. Malaria is managed through a combination of vector control approaches (such as insecticide spraying and the use of insecticide-treated bed nets) and drugs for both treatment and prevention. The widespread use of artemisinin-based combination therapies has contributed to substantial declines in the number of malaria-related deaths; however, the emergence of drug resistance threatens to reverse this progress. Advances in our understanding of the underlying molecular basis of pathogenesis have fuelled the development of new diagnostics, drugs and insecticides. Several new combination therapies are in clinical development that have efficacy against drug-resistant parasites and the potential to be used in single-dose regimens to improve compliance. This ambitious programme to eliminate malaria also includes new approaches that could yield malaria vaccines or novel vector control strategies. However, despite these achievements, a well-coordinated global effort on multiple fronts is needed if malaria elimination is to be achieved. 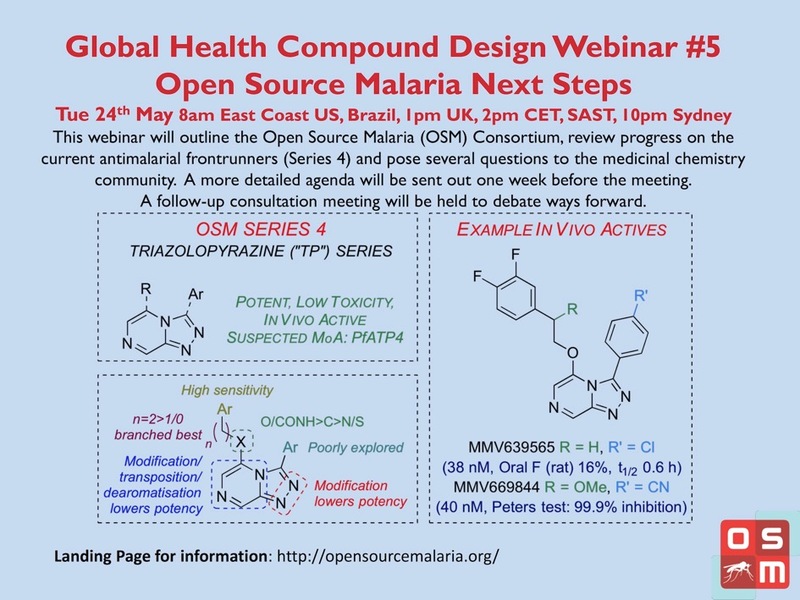 A webinar describing the work undertaken by the Open Source Malaria Consortium was held on 24th May and a recording of the meeting is now available. Open Source Malaria (OSM) is aimed at finding new medicines for malaria using open source principles, embodied in the 6 Laws of Open Research. At the moment the majority of work involves the synthesis of analogs of compounds identified by big pharma, with the aim of improving their potency while making the molecules more "druggable", what is known as a "hit-to-lead" campaign. The questions raised in the webinar are highlighted as “Meeting Discussion Points” on the github page. Please feel free to join in the discussions. Pleae note that registration without abstract submission is also possible. This annual conference will bring together malaria researchers from Europe and overseas in order to present and share recent groundbreaking findings on fundamental malaria research. Topics covered include: - Immunobiology and Pathophysiology - Parasite Molecular and Cell Biology - Vector Parasite Interactions - Modelling and Systems Biology We also invite you to register for a two and a half day workshop designed to provide you with training in effective use of several online resources relevant for Plasmodium research, including: - GeneDB (http://GeneDB.org) - PlasmoDB (http://PlasmoDB.org) - VectorBase (http://VectorBase.org) The workshop will start at 9am on Saturday May 12th and run until Monday May 14th. You are welcome to circulate this announcement to interested members and groups within your institute. We look forward to welcoming you in Heidelberg, Germany. Recently two groups have reported the results of screening campaigns, GlaxoSmithKline (GSK) published ( doi:10.1038/nature09107 ) the results of screening nearly 2 million compounds from their chemical library for inhibitors of P. falciparum, of which 13,533 were confirmed to inhibit parasite growth by at least 80% at 2 uM. The chemical structures and associated data were made public to encourage additional drug lead identification efforts and further research into this disease. In a second paper ( doi:10.1038/nature09099 ) a library containing 309,474 unique compounds, “designed at the scaffold level to provide diverse, comprehensive coverage of bioactive space”, was screened against Plasmodium falciparum strain 3D7 at a fixed concentration of 7 uM and afforded 1536 hits. I thought I'd contribute to this generous effort by calculating a number of descriptors and properties for the molecules and then cluster the molecules in a variety of ways to help analysis and provide the data for download. You can read about it here.